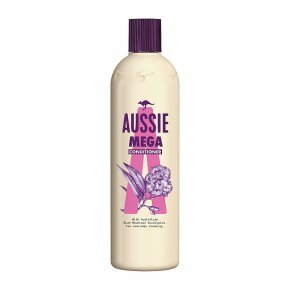 Our Aussie Mega Instant Conditioner special formula, with Australian Kangaroo Paw Flower extract, can be used daily. If you're after super clean hair, use with Aussie Mega Shampoo. Really clean is the new clean. Our daily lightweight, miraculous formula leaves hair soft, shiny and full of bounce. With Australian Kangaroo Paw Flower extract. For hair that wants to be conditioned every day. For everyday conditioning that's not so everyday.Woaahhh! This may be for everyday conditioning, but it's no everyday conditioning! Oh no. Our conditioner formula, which contains Australian Kangaroo Paw Flower extract (it's brilliant stuff), makes your hair soft and shiny without weighing it down, so all you're left with is plenty of bounce. Why's it called the Kangaroo Paw Flower? Simple...it looks like one! Apply to freshly washed hair. Rinse thoroughly. Oooh, now how soft and bouncy does that feel? !